Does your local laundry know how to properly press your shirt collars? Do you ever have complaints about your collar bands breaking and falling over? 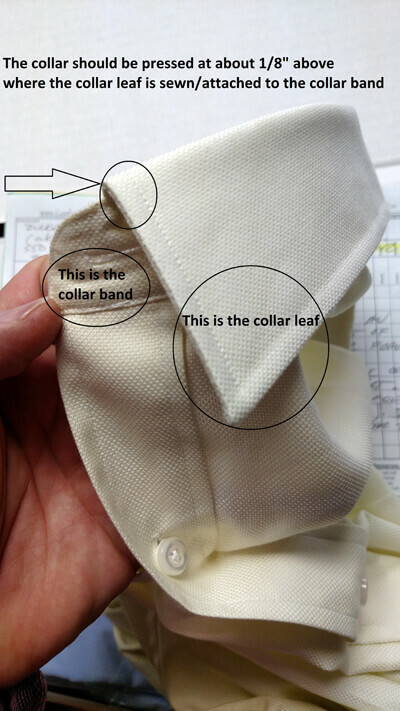 These images could prove helpful for you to communicate with your local laundry about how to deal with your collars. 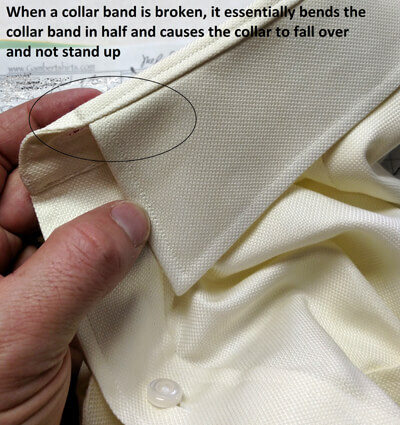 The main issue is when the laundry "cracks" the collars. What happens is the technician pulls the collar over a heated cone to press it, but if they pull to tightly on the collar leaf they'll create a break in the lining of the band. By slowing down and properly creasing the collar leaf, this issue can generally be avoided.